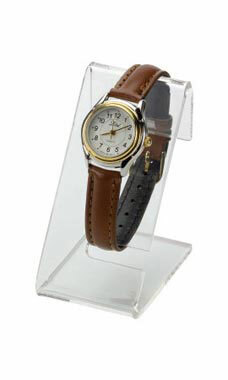 Show your watches in an affordable stylish way with our Acrylic Vertical Watch Displayer. The display is a lightweight economical way to make the most of your jewelry. Features include a split looped design with a slight backward tilt to allow for any style of watch to slip onto the stand effortlessly.